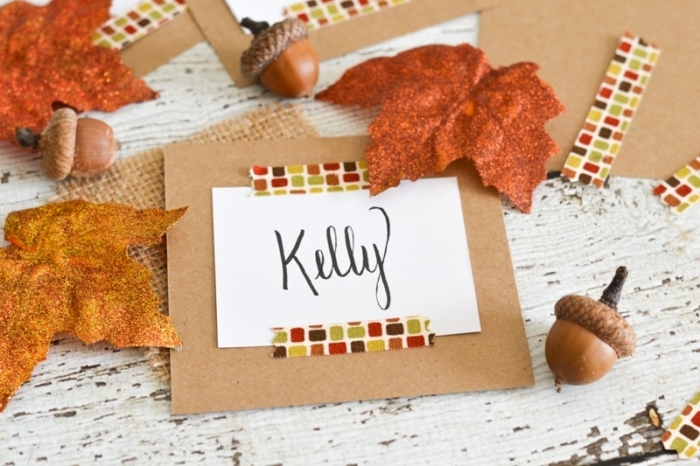 With a few basic supplies, these place cards are simple to make & perfect for a fall get-together or even Thanksgiving dinner. 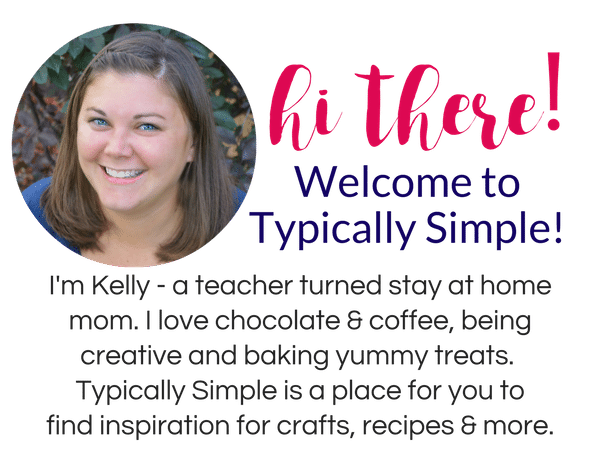 If you follow Typically Simple on Instagram or facebook, you might have seen an announcement last week that I opened up a new Etsy shop called Simply Washi! I’m super excited to start this new creative adventure! 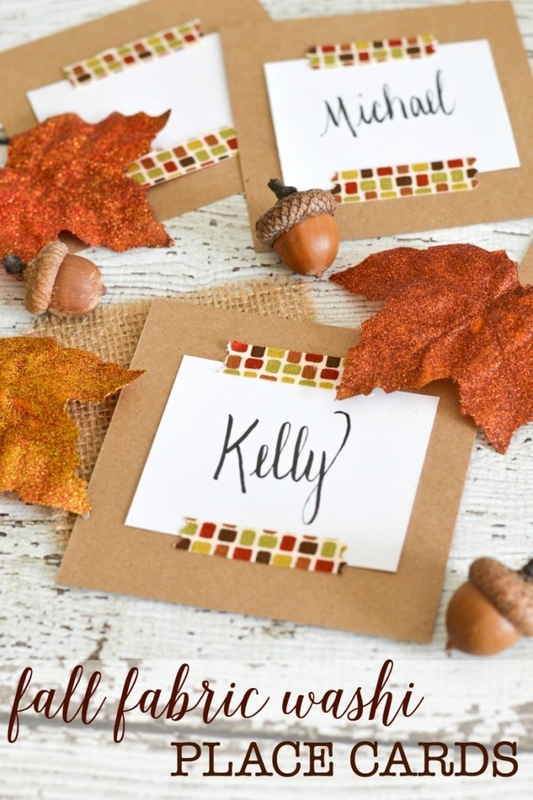 So I plan on sharing some fun projects that you can make with fabric washi tape, including these super cute fall place cards! I love washi tape as much as the next crafter. And one thing I might love even more is fabric washi tape! Since it’s made of fabric, it gives projects a little more texture. Plus its a little thicker and the adhesive is semi-permanent. I can’t tell you how many times regular paper washi has eventually lost its “stick” on me and fallen off a project. Not with this! Cut the cardstock to size. I used a square for the base and rectangle for the name part. 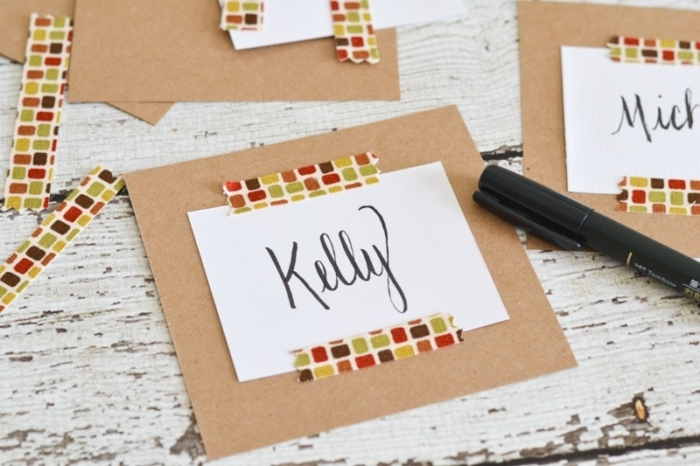 Write your guests’ names on the smaller piece. 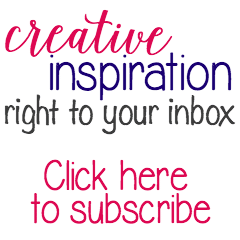 Attach to the larger piece using a few pieces of fabric washi. And that’s it! 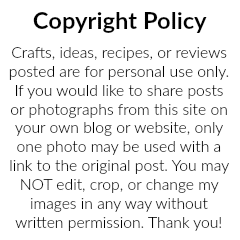 Super simple and fast to make! It’s a fun way to add some color and texture to the table. 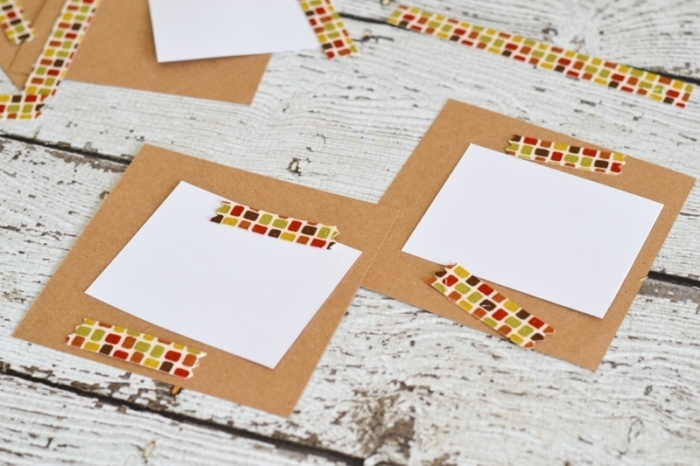 The washi can be cut to different sizes using a sharp pair of scissors. I like to use pinking shears to give the ends the zig zag look. You could also trim on an angle or just straight across. Lots of possibilities!